B. Thomas (Arlington, Texas, United States) on 16 November 2012 in Plant & Nature. My friends and I took a drive along a scenic highway near Beavers Bend Oklahoma looking for fall foliage. Bonita toma de las hojas, me gusta el "carcomido" a contra-luz. quel découpage de belle feuilles et cet éclairage sueprbe. I see the autumn there also begun. beautiful. Déchiquetées comme de la dentelle ! Très beau ! Hope you are not the one snacking on the leaves...LOL! Beautiful colors and lovely presentation. Perfectly backlit leaves that really exhibit beautiful autumnal colors! Oh gorgeous!! well captured image! I like the colour a lot! and the way the leaves are shaped...excellent! I love the orange color. 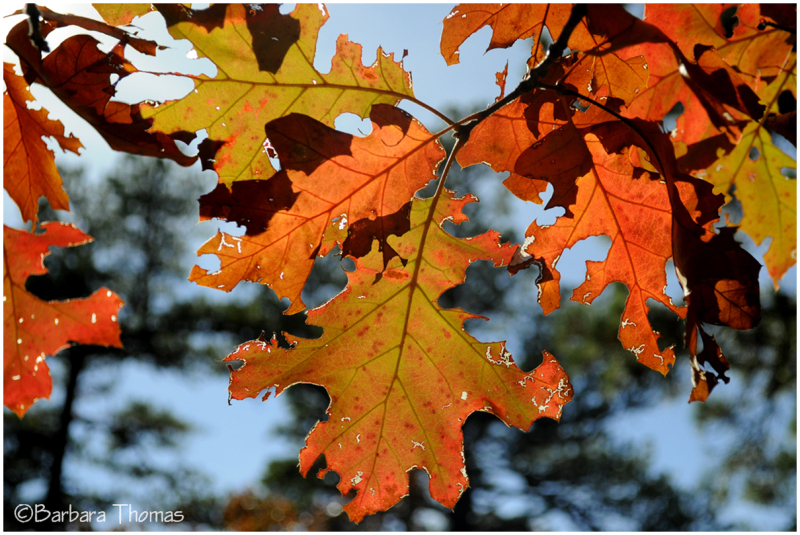 Oak leaves? Excellent capture, great detail and beautiful colors.